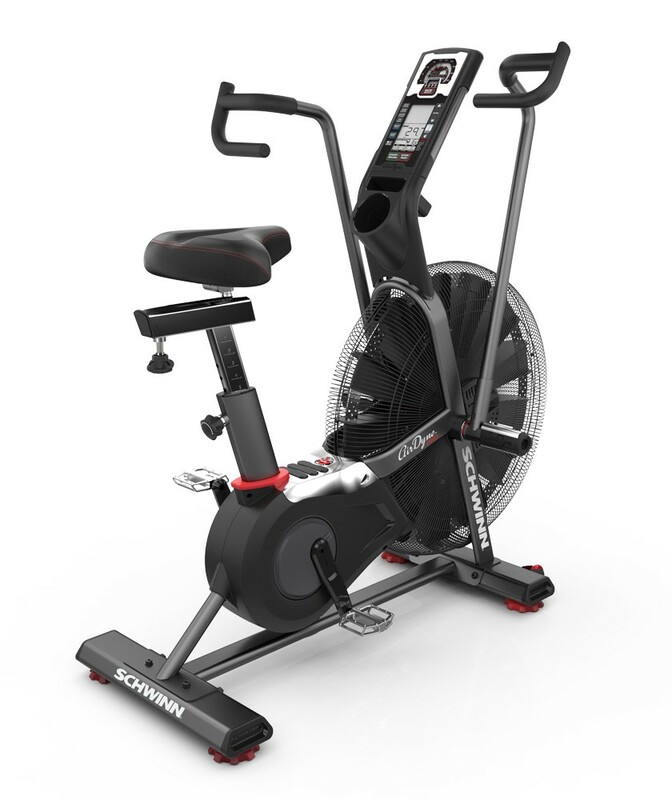 The new Schwinn Airdyne AD8 Pro leverages the iconic Schwinn air resistance reputation of durability and performance and updates it with a design and feature set in perfect alignment with today’s unique fitness challenges and environments. 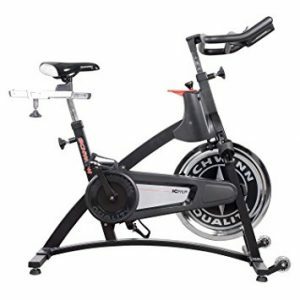 Whether your goal is to bring your workouts to a new level or require the perfect total body cardio workout machine for your home, the new Schwinn Airdyne AD8 Pro delivers the latest in air resistance technology for effective and efficient workouts. Durable. Comfortable. Challenging. If this were a compatibility survey, you’d have met your match in the-new Schwinn® Airdyne® AD8 Total Fitness Bike. 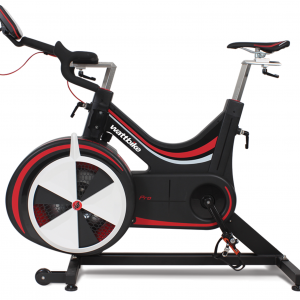 Schwinn invented Airdyne technology, built its legacy around the power of unlimited wind resistance and has continued to refine the technology to stand out amongst its peers. 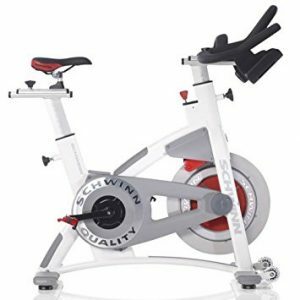 The Schwinn AD8 is built to stand the test of time as well as the rigors of high intensity training. From the performance engineered, perimeter-weighted flywheel for smooth startup and cycling, to the proven strength of the splined solid steel cranks that deliver more power to the pedals, to the moisture repellent double coated steel body construction, the Schwinn AD8 can outlast even the most intense athlete! 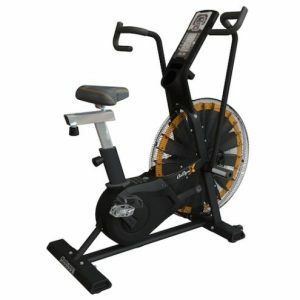 The Schwinn Airdyne AD8 takes your comfort seriously. It features a revolutionary multi-position handle which offers the flexibility to place your hands either vertically or horizontally. To focus on upper body, we’ve developed anti-slip foot platforms for a more robust push off to leverage more power from your workout. The Schwinn AD8 even offers comfort and customization when it comes to the oversize, padded seat. Designed with a universal rail and clamp system, you have the flexibility to add your own custom seat. With the Schwinn AD8 Pro, the challenge is up to you! The more effort you give, the more resistance it delivers as your sweat equity is channeled straight to our whisper quiet direct drive belt system. Schwinn Airdyne technology blends seamlessly with custom interval training programs to offer a uniquely challenging workout with metrics like watts, calories, time, and distance. Or you can choose a lower intensity route which is a great option for Someone recovering from an injury or someone that just needs a low impact workout, but still wants to ramp up that heart rate. The Schwinn Airdyne AD8 meets you at your level and provides the challenge to keep you coming back for more. Drive System: Single-Stage Belt Drive. Power Requirements: Two D batteries (not included) AC adapter ready. Programs: 9. Workouts: Simultaneous Upper / Lower Body, or Upper Body or Lower Body workout only. Heart Rate: Telemetry enabled.